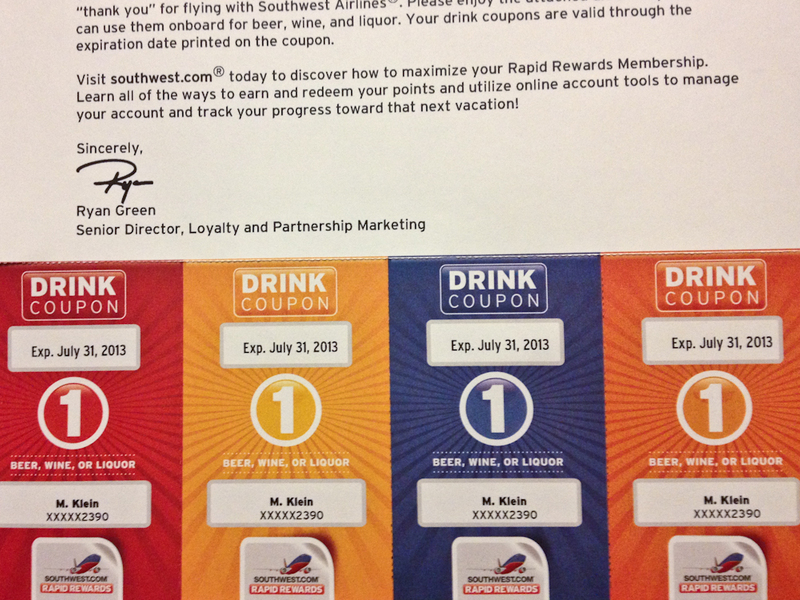 Yep, new drink coupons. With expiration dates. 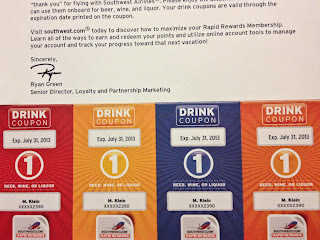 My ever rational husband tried to explain to me that the old (expiration date-less) drink coupons must have been an accounting nightmare for Southwest. The company would have had to continue keeping millions of dollars worth of these coupons on the books, carrying over every year without knowing if or when they would be redeemed. Now they can more accurately keep track of what's out there, knowing they will expire each year. On the off chance that you are a group of 2, coupons you will shop uniquely in contrast to a group of 6.